Stressed, procrastinating and not sleeping well? Frog lists can help with your time management! 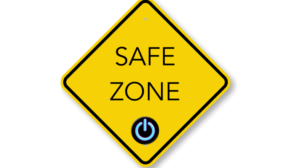 Too many things to do and a head loaded with to-dos can lead to overwhelm, which can lead to an amygdala hijack. 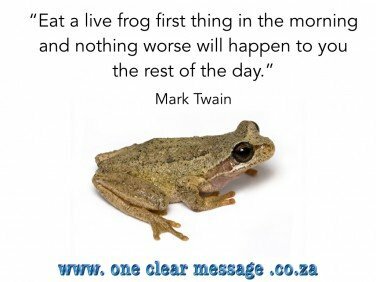 Avoid procrastination and stress reactions by eating your “frog” first thing in the morning. When we “eat the frog” by doing our most distasteful task first thing in the morning, the rest of the day gets easier in comparison. We can set the tone for the rest of our day and work gets done more easily when we are more efficient. By doing the task that you will most likely procrastinate on first, it is relatively simple to do the other tasks because they aren’t as bad in comparison to the task you first did. The day gets better and easier and our time management skills improve. Build the list habit and do your most objectionable task first. 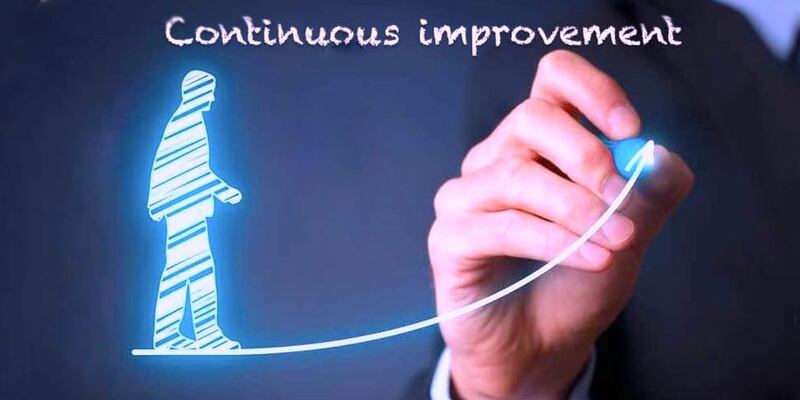 Committing our focus and energy to our most difficult tasks, helps us get to success a lot faster than we might imagine. Each night write a list of tasks you need to do the next day. Create a column for work and a column for personal items. Lists can help us get a good night sleep (instead of tossing and turning trying to remember your to-dos for the next day). We have the most energy first thing in the morning. Additionally there are often fewer distractions early in the day and we are more focused. Set yourself up for success. Plan how you are going to complete the specific task tomorrow morning. Get all the necessary tools ready and in place. For some of us it may mean getting up 1/2 an hour earlier or getting to the office earlier. Increase the likelihood of having no distractions so you can focus on your most important tasks. Make sure the list is detailed. Lists with too little detail are likely to cause stress. Details help chunk down activities and make the tasks more manageable. e.g. 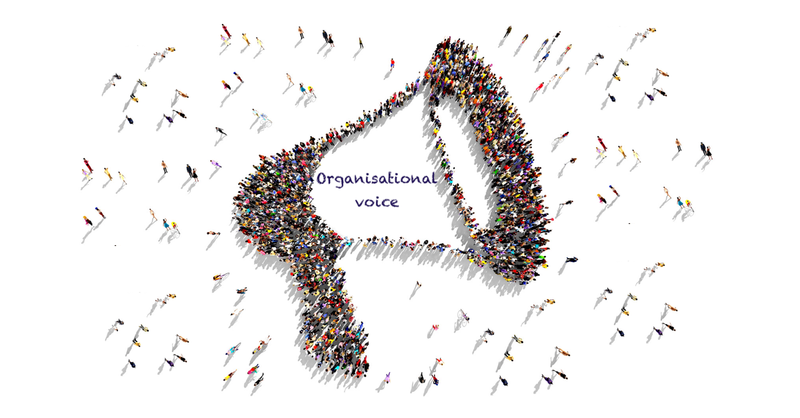 call Richard (cell: 083 229 3528) to arrange Emotional Intelligence training for the team. Too little information puts additional steps in the way. The more straightforward, the more likely we are to do it. Weight each item by distaste. Which items do I least want to do? This will be your “frog”, the first task you are going to do tomorrow. Which will bring you closest to your goal? What is the most valuable use of your time? One item at a time. STOP multitasking! It is inefficient and will drive you crazy. The evidence clearly demonstrates that multitasking makes us worse at everything we do. If you’re talking to someone, talk, don’t try to respond to email at the same time it is inefficient (and it will tick them off). We have limited focus and willpower – focus on one item at a time! Schedule Time to Unwind. Build in personal time. Take a walk, get out of the office for lunch, go to gym, practice meditation, take a warm bath, have dinner with friends, but make sure you put it on your calendar. Schedule your favorite stress relief activities in your list and stick to them. Keep it real! Create a prioritised list that you actually follow, not just pages and pages of notes. Tick off each item as you achieve it. At the end of each day, repeat step 1. Each evening take 5 minutes to do the above steps. It is a simple exercise, but it can dramatically reduce stress and increase efficiency. 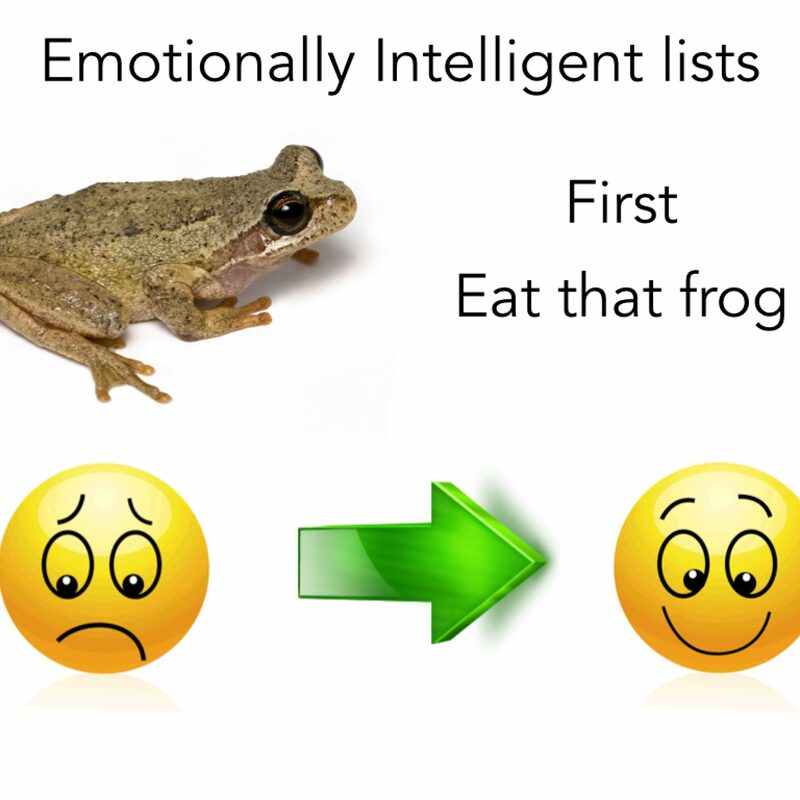 Emotionally Intelligent frog lists can help you get a handle on your time management and reduce procrastination.